Mark Erelli has initiated a Kickstarter campaign for his latest project, an album of his covers of Bill's songs (and one original). 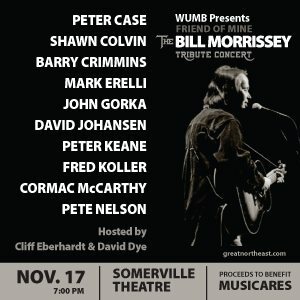 A tribute concert for Bill is being organized for November 17, 2011, at the Somerville Theater in Somerville, Massachusetts. The show will feature Peter Case, Shawn Colvin, Barry Crimmins, Mark Erelli, John Gorka, Peter Keane, Fred Koller, Cormac McCarthy, Pete Nelson, David Johansen, and Patty Larkin. Tickets went on sale September 23rd. Details are available on the main page at www.turnandspin.com. The French translation of Edson will be released on January 10, 2010. Bill will be in Paris during the third week of January for the launch of the book and to perform two concerts. Come Running may be ordered on CD from CD Baby. The time it takes the sites to make albums available varies from two weeks to two months. They are also available for sale at Bill's shows. The new album, Come Running, has been recorded and is in production. It will be released independently and is expected to be available in the near future. Over the past few months, Bill has gone to the studio to work on songs for his next album. During some of the sessions he has been joined by Dave Alvin. Bill's appearance is toward the end of the program, about 45 minutes from the beginning. Bill is one of the featured participants in the 2004 Tamworth calendar. Johnny Cunningham died the evening of December 15, 2003, in New York City, reportedly of a heart attack. As any fan of Bill Morrissey knows, the two played together many times, both in the studio and on tour. Johnny added so much to any song that his playing graced--just consider his exquisite work on "Inside." Deepest condolences to Johnny's family and friends. Bill is currently producing Karaugh Brown's first full-length album. Bill said he was inspired to take on the production role because "I think she's going to do some serious business in music." Karaugh Brown currently has a 5-song EP CD available from FolkWeb.com. 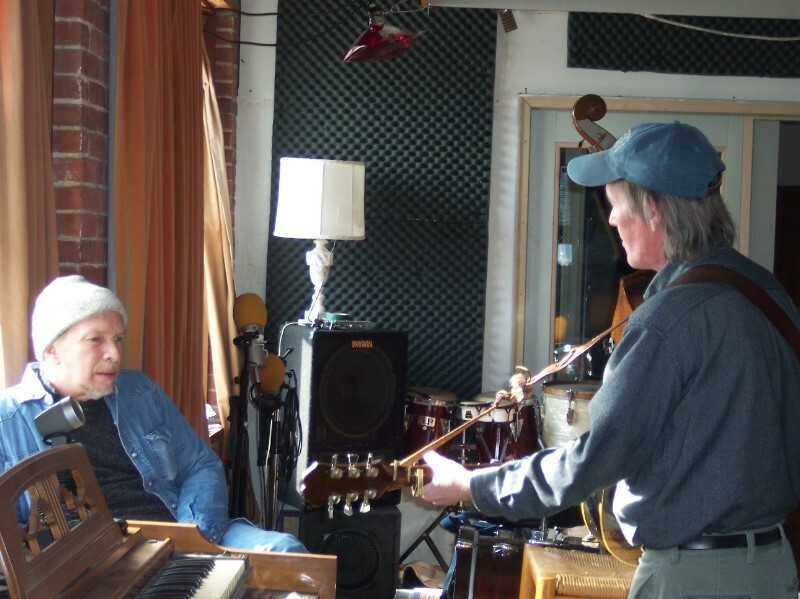 Avalon Blues: A Tribute to the Music of Mississippi John Hurt includes Bill's rendition of "Pay Day," a song he has occasionally performed over the years (including on his tour with Greg Brown following the release of their 1993 collaboration, Friend of Mine). Bill has written a bunch of new songs and is playing some of them at gigs. He recorded them in September of 2000, and the new album of original tunes, Something I Saw or Thought I Saw, was released on April 3, 2001. Rounder's page has a 40-second soundclip from the first song. An article on Bill is in the June 2001 issue (no. 33) of No Depression. Bill's 1999 album Songs of Mississippi John Hurt was nominated for a Grammy award in the "Best Traditional Folk Album" category. This is Bill's second Grammy nomination. 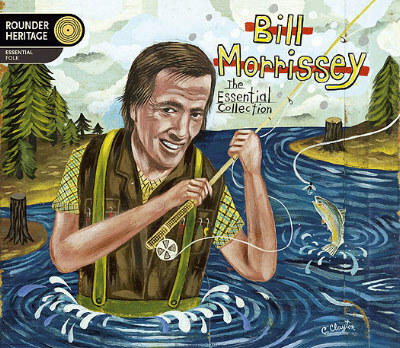 His 1993 album with Greg Brown, Friend of Mine, was also nominated for "Best Traditional Folk Album." While he didn't win, the nomination was a strong recognition of the talents of a man who goes about his artistic endeavors in his characteristic low-key way. 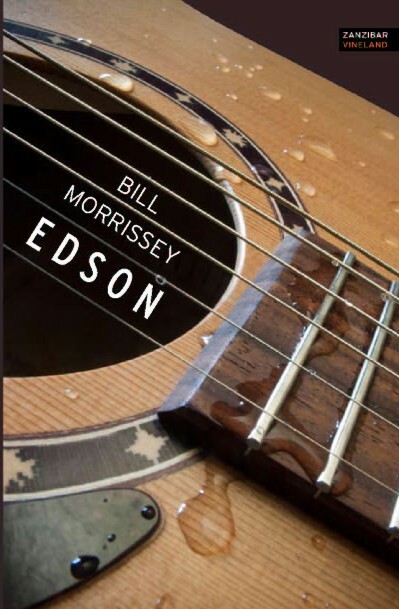 For the past couple of years, Bill has been working on his second novel, the follow-up to the critically acclaimed Edson. Originally given a working title of Slow Blues, it is now expected to be called Imaginary Runner (after the terms used in pick-up games when there aren't enough players for every base). In a recent interview, Bill said of the book: "It's about a guy, roughly 39, who's taking his first solo trip across the country to meet the 19-year-old daughter he's never met." In a ballgame, the imaginary runner can only travel as many bases as the next batter does. My character is also not in control of his own life. Things happen to him. Where he goes is up to other people. The first chapter of the book was published as a short story in the June, 1998, issue of the Idaho Review. The editor is Mitch Wieland at Boise State University, English Dept., 1910 University Dr., Boise, Idaho 83725. Phone: 208-385-1002. Bill has gone back to rewrite portions of the book a couple of times. It is now in the hands of Bill's literary agent, who is negotiating with publishers. Tower Records will honor Bill with a star on the sidewalk at their Cambridge, Massachusetts, store. 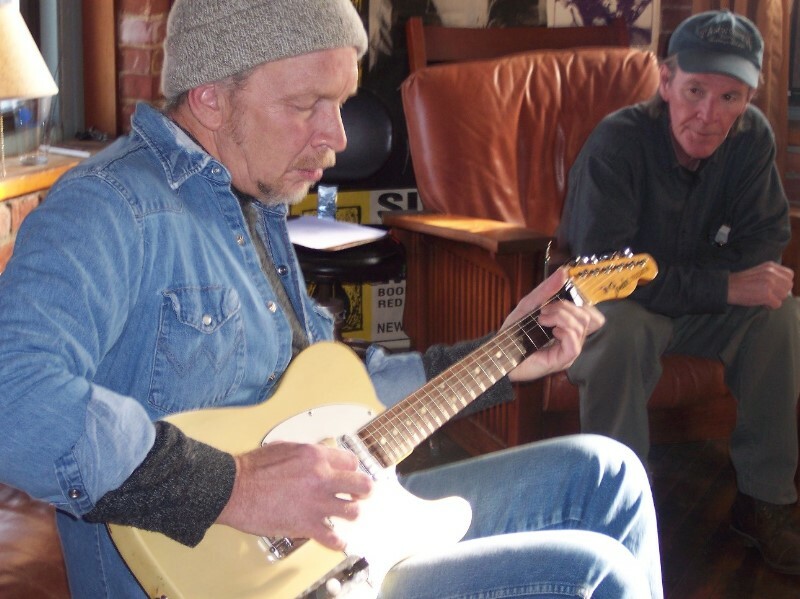 There will be a ceremony, including a brief performance by Bill, on Friday, July 9, at 1:00 p.m.
Bill's new album, featuring his versions of 15 songs by Mississippi John Hurt, was released on February 2nd. It was recorded in New Orleans this past August. Musicians include Johnny Vidacovich on drums and James Singleton on acoustic bass. 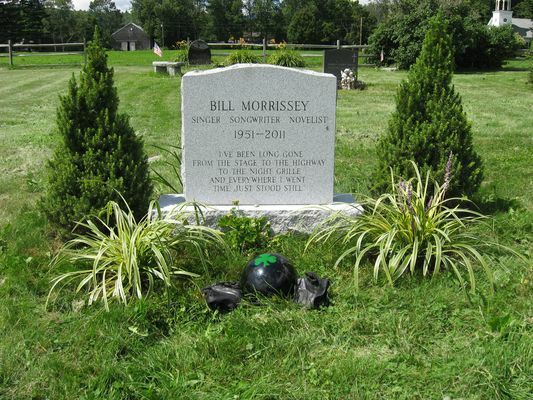 Long-time Bill Morrissey collaborators Peter Keane and Cormac McCarthy make significant contributions. See the Songs of Mississippi John Hurt page for more information. Rounder Records' Touring Troubadours CD features two songs by Bill, "Shake that Thing" from Songs of Mississippi John Hurt and a previously unreleased concert performance of "Inside." "Inside" is from Nashua, New Hampshire, in 1991 and is a similar arrangement to the album version on the album of that title, but without Suzanne Vega's backing vocals. The CD has 18 songs, two each by nine artists, and is only $5. It is available at Bill's shows, from Rounder Records, and--for those in the Boston area--at Club Passim. Bill will be on the faculty for the The Fiction Workshop Series in Boston on October 3 and 4, 1998. The event will be held at Suffolk University. Robert Olmstead is also on the faculty. For more information see http://www.writerswrite.com/conf.htm or call 717-243-3205.